1. For the bread pudding, preheat oven to 350°. Whisk together the milk, cream, sugar, cinnamon, vanilla, orange zest, and eggs into a large bowl. Stir in the bread cubes and soak them for 30 minutes. Butter a 9-by-13-inch baking dish and pour mixture into it. Bake until golden, about 45 minutes. 2. For the sauce,melt the butter in a medium sauce-pan over moderate heat, until it turns a light brown color, with a rich, hazelnut aroma, about 5 minutes. Add the corn syrup, sugar, rum, cream, salt and vanilla. Reduce the sauce until it thickens enough to coat the back of a spoon, about 15 minutes. Remove from the heat. 3. For the candied almonds, mix the almonds, egg white, and sugar together in a bowl. Spread the almonds on a cookie sheet and bake in a 350° oven until golden brown, 15-18 minutes.. Stir nuts every 4-5 minutes to ensure that they bake evenly. 4. 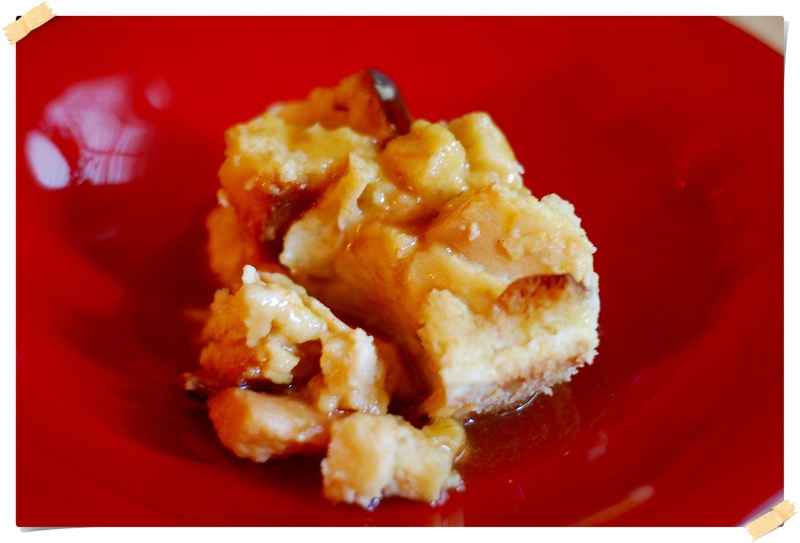 To serve, scoop a large spoonful of warm bread pudding onto each of 10 plates. Pour the buttered rum sauce over the pudding and scatter candied almonds over the top.